With the arrival of spring comes an explosion of beautiful blooms, but the splendor of a spring day may be missed on seasonal allergy sufferers. If pollen-filled spring days often find you sneezing, wheezing, or reaching for the tissues, you’re not alone. More than 50 million Americans suffer from allergies each year, according to the American College of Allergy, Asthma and Immunology (ACAAI). Luckily, there are a few simple ways to combat many of the allergy symptoms that come in the spring. “What they don’t realize is that by following a few simple rules they can make life a lot more pleasant and their allergies more bearable,” he says. Spring allergy sufferers don’t have to feel powerless in the face of pollen, says Tilles. Here are a few things seasonal allergy sufferers can do to make springtime less of a nuisance to their nasal passages. Clean your home. Cobwebs, pet fur, mold, and other allergens can accumulate over the winter. Give your home a deep scrub to eliminate existing allergens and get rid of mold, which can build up in basements and bathrooms and flourish in rainy spring weather. To clear pet-related allergens, vacuum frequently and wash upholstery and pet beds. Skip the ionic air filter. Tilles explains that ionic air filters can change the charge on a particle of pollen or dust, making the particle more likely to stick to the next thing it comes into contact with. For allergy sufferers, he recommends using a HEPA room air cleaner rated with a Clean Air Delivery Rate (CADR). Additionally, be sure to change your air filters every three months. Keep windows closed. While it may be tempting to let in the fresh air, allergy sufferers may be wise to keep their home sealed up during allergy season. Opening your house or car windows allows pollen to drift inside and settle into your carpet, furniture, and upholstery. Instead, use your air conditioning with the new filter you just put in. 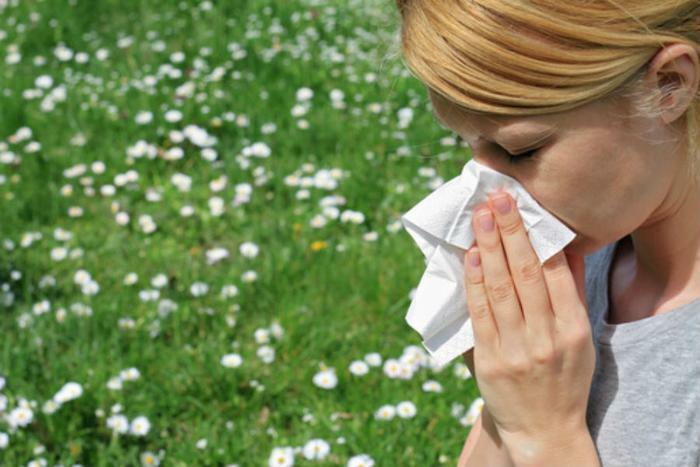 You might think you’re dealing with allergy-related symptoms, but that’s not always the case. Tilles says many people who chalk up their symptoms to allergies are actually dealing with asthma. See an allergist if you can’t shake your cough or if you get winded easily, as these symptoms may be indicative of asthma. Once you know you have asthma, you can begin to identify the source and treat your allergies to improve symptoms. An allergist may suggest medications or recommend allergy shots (immunotherapy) to alleviate your allergic suffering.